Thermold® 20-rd. 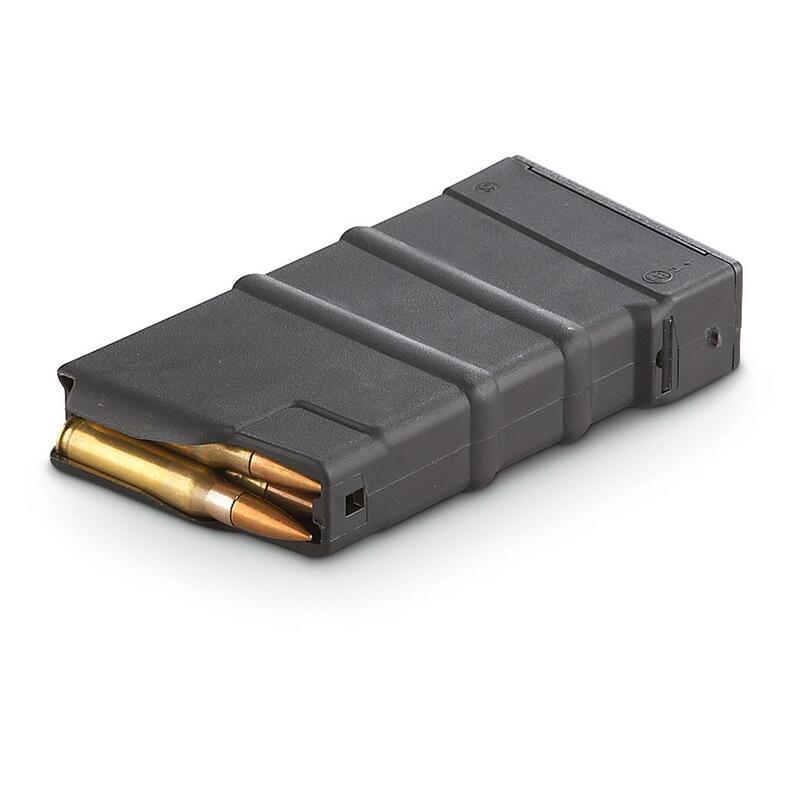 M14 Mags offer sure performance and big value! Quality American Mags to heat up your M14! The body is made of tough, lightweight polymer. Smooth functioning, with heavy-duty stainless steel spring and anti-tilt follower. Removable base plate. Made in the USA. Bargains on Thermold reliable excellence! Get yours Today! 3-Pk. of Thermold 20-rd. M14 Magazines is rated 4.4 out of 5 by 30. Rated 2 out of 5 by Duncan from Many Feeding Issues I have an M1A with an Archangel furniture kit and can't, for the life of me, get any of these to feed. Upon closer inspection, the magazines seem to be rubbing against the magwell. They should work in the factory furniture, though. Rated 5 out of 5 by Boar Hunter from Great Magazine This is awesome. Much better than any steel magazine that I have ever had. These mags are so much easier to load. They are so much easier to lock into place on my Socom 16 rifle. I plan on buying more. I recommend these mags to anyone that owns a Socom 16. Much less friction on locking the mag into place. So much easier to load and of course to pack up for a day at the range or perhaps for your "Go Bag" for those survivalist. I plan on selling my steel mags and go with only the thermold composite magazines. I will keep the 5 rd stock mag that come with the rifle for hunting. Or to zero in a new scope. I love to hunt wild hogs and even able to do some night hunting on private ranches which are being destroyed by the Wild Boar whose population is out of control. (Check the laws in your state regarding night hunting and the laws for hunting Boar. Be safe and thanks again to Thermold for making these mags for the socom 16. It has made the rifle so much better! I never thought something so simple could change the experience of a day at the range or carrying a back up magazine for your hunting! Good luck and always practice responsible firearm safety and ownership. Remember it only takes a slight oversight to cause devastation. So when doing your safety checks. Tale your time and double check any and all safety measures to ensure your safety and those around you. Rated 5 out of 5 by BAYOU from Great Magazine This Magazine takes all the problem with the drixfion of metal again st metal and eliminates it from the a oasing and feeling of the cartridges. Absolutely love this mag....better than the original Springfield socom mags. Bug a set and enjoy the elimination of proflerm of the steel magazines....I am a happy customer and plan to buy more!!! Rated 4 out of 5 by honytiah from Good Price for three pac I like them, not hard to load, only problem is keeping them lock in when inserted into the mag well. Rated 5 out of 5 by Larrylar15 from Exceptional purchase was exactly what I was looking for. Looking for mags that were durable but did not add much weight. These magazines fit the bill perfectly.